In stock now! 5 available. Buy Celestine today and get 10% off her price! Every year on the evening of the winter solstice, an elegant gathering is held to celebrate the coronation of the new winter Crystal Queen. 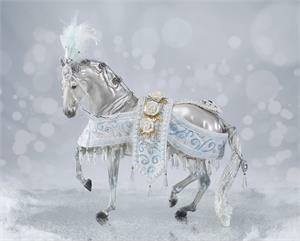 All the animals attending are adorned in finery that is reminiscent of nature in midwinter. 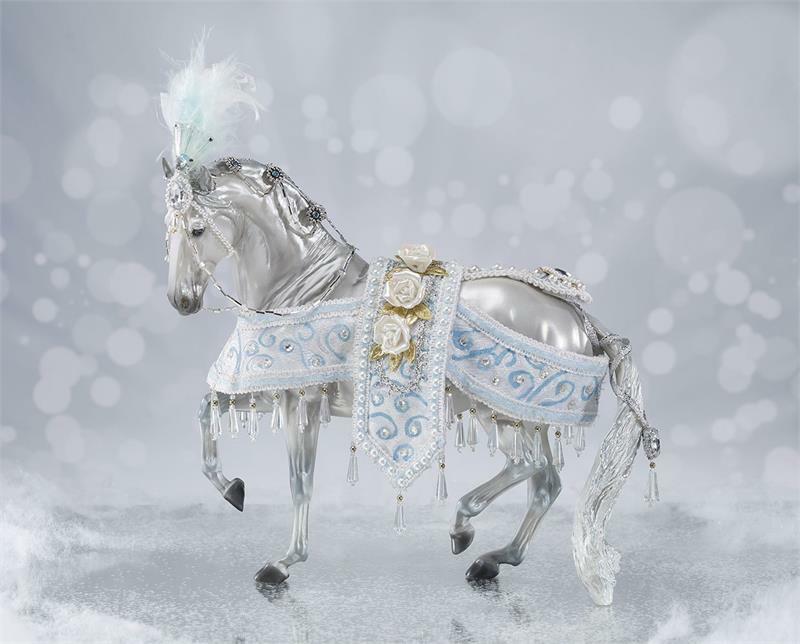 Presiding over the festivities is the Crystal Queen herself: Celestine, Breyer’s elegant 2018 Holiday Horse. She is outfitted to shine with ice crystals on her headdress, and dangling from her costuming. 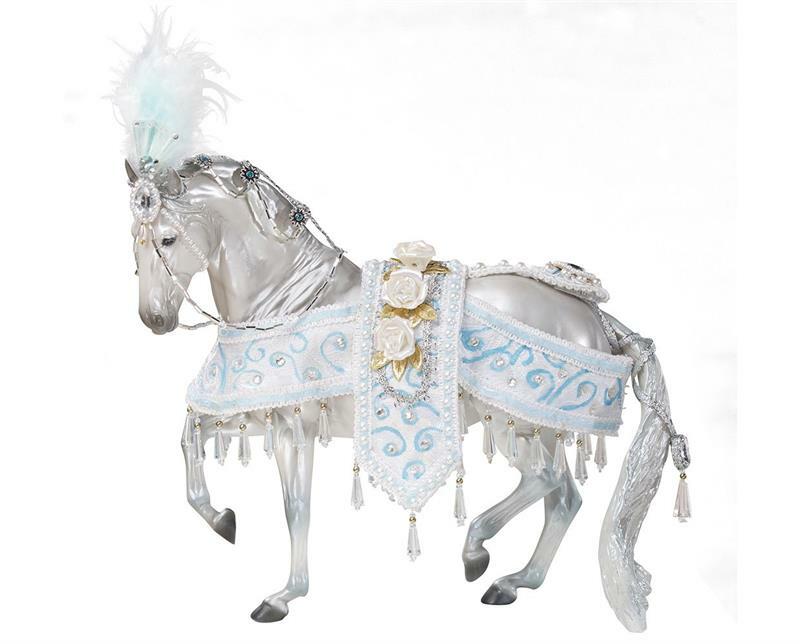 Celestine’s pearly grey coat is highlighted by her outfit’s frosty white roses, detailed embroidery, gems, and pearl accents. A wonderful gift, this hand-painted collectible has “Happy Holidays 2018” on her belly.